Today isn’t another normal school day. Today is the last school day. For some pupils, their last school day in that specific country. Wow! For some kids or teenagers, their last school day in that given continent. To make it easier and even nicer, this last international school day is only half of a normal school day. As a sign of empathy from the school’s direction? 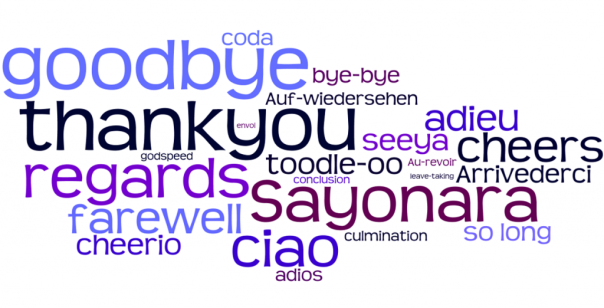 Knowing how important and, sometimes, time consuming it is to say good bye. Good bye good friends, parents and teachers. All coming from the four corners of the world! Right after school, it’s just unreal. Like everywhere in the world, be it a “normal” or an international school, once you exit the gates and wave good bye one last time, we’re all overcome with such a deep feeling of emptiness! It looks so unreal when you live abroad and, suddenly, you leave behind you a favorite microcosm. So hard to suddenly face the reality of the sometimes immense country that you – in fact – knew so little! Younger ones will just wonder “what to do next” or ask spontaneously “when do we meet again..?” Not realizing that he or she is leaving, sometimes heading to the other side of our planet! Unreal, exceptional was the specific setting of the international school. So many different people, cultures, languages, faces. So many good friends! No one is really in charge of closing down the magic box. Is it school to be blamed? For not prolonging the time together? or parents, for lacking true empathy? or the company who stopped the assignment? But, in fact, it’s just time for growing up and realizing life doesn’t last forever. That it’s all up to everyone to maximize the experience! Intense relationships, in a tiny international microcosm, are often unbeatable. Hard to understand for all the “non expat” people. So many days spent abroad, uprooted and onboard the small but so strong community! With so much hard work to get to know each other despite so many cultural differences. So, when it’s time to say goodbye, leaving behind so many good times, the feeling of sadness has a special deep taste. Hard to turn one’s back from a spontaneous life made of so many sleep-overs and easy get-togethers. For parents, it may be difficult to fully understand what’s going on when for kids the earth seems to be collapsing beneath their feet! Maybe it’s time to remind ourselves of some farewells. Back then, when we were young, after a few holiday weeks with so good friends. Not to mention the sadness of summertime lovers, each returning to a different place. When there are most chances that no one will meet again, at least before long time! Of course parents (and children too!) will cherish the help of online communities, as a buffer and place of relief, like an electronic shelter for the young broken hearts. But come on, let the children cry. Stay humble in front of their sorrow. Simply be there when they will need it. Happy summer break to everyone! !